World reviews of everything from art to football to wine. Read them or write them. The government in the UK today makes an offer of £10m for a town or city to become a testing ground for driverless cars (The Driverless Car Challenge). Contact us if you would like some help in preparing a submission. In this simulation video the emphasis is on onboard driving and navigation systems and on car-to-car communications. Both these can be independent of location but there is also some wireless communication with public infrastructure in the form of traffic lights and overhead gantries. Traffic lights could electronically also perform all the functions of parking meters in nearby streets, for instance. Motorway road widths could slim down from three lanes to two lanes and carry the same amount of traffic if most vehicles were autonomous (or in the transition years, two lanes could be designated for conventional vehicles and one for autonomous - this might be quite likely if semi-autonomous commercial vehicle roadtrains emerge before fully autonomous cars). The savings for highway authorities could be substantial if roads could be narrower. We are not a design consultancy but we can help you draw up a brief of what your designers must consider. Roadspace will need to be modified for new types of vehicle. This should not underestimated. It will not just be a change of types; the new will have to co-exist with the old. In Newmarket, England all the bye-laws favour the horse, all types of road traffic give way to it and there are even concrete paved and soft surfaced bridleways running alongside some tarmacadam roads to ensure unimpeded passage of the horse. If you look carefully there are differences from other towns: there are fewer traffic lights and apparently never in a place where a string of horses might be held up by them. 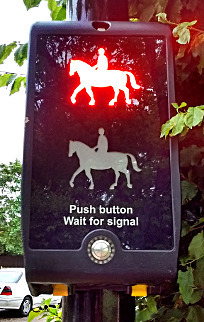 Unlike horses, autonomous vehicles can give way very readily at low speeds but they will require fewer traffic lights. They will also be able to automatically avoid most of the collisions that take place between cycles and vehicles so enhancing safety in cycle-rich urban areas like Cambridge, the start point of stage 3 of the Tour de France. We are represented on the British Standards Institution committee EPL/278 Intelligent transport systems. (We have three decades of expertise in standardisation). We have developed some proprietary IP for two-way building-to-vehicle and infrastructure-to-vehicle communication using LiFi for future use. Gave talk in Cambridge to Institute of Advanced Motorists on driverless cars. We are investigating the insurance conditions for driverless cars without steering wheels to come to Britain. We are also looking into possible disputes resolution frameworks if one organisation like Google or a taxi firm offers to assume liability so that passengers have similar rights to people travelling on public service vehicles. We possess expertise in arbitration. Gave talk in London to the British Standards Society on driverless cars and the smart city. 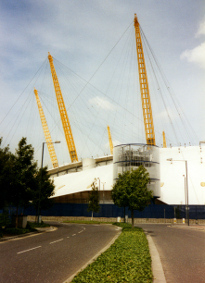 Other speakers included a representative of Digital Enterprise Greenwich. We are advising a UK local government authority on its options for adaptations to accomodate autonomous vehicles. We are represented on an Internet of Things panel for our conceptualisation skills in intergrating future vehicle types with buildings. I was in Cambridge for the dotcom boom when all the local internet entrepreneurs met once a week to compare ideas at the Judge Business School. By 2007 I was back to meet the early machine learning and AI enthusiasts, some of whose ideas have had spectacular success at Amazon and elsewhere. I had known one or two since 2003. It is important to be there at the beginning, which I have been with respect to Britain's efforts with autonomous vehicles, because it gives you a full perspective that nearly no one else can replicate. We can provide full overviews of autonomous and semi-autonomous vehicle developments, updated quarterly, on a commercial basis. Of the Prime Ministers's four priorities for industrial strategy announced today, artificial intelligence tops the list and the future of mobility is included as well. We will settle for that. There will be an explosion in artificial intelligence work as a result. We have two definite advantages as a consultancy. Firstly, we can reach an unparalleled overview of any autonomous vehicle project, picking up on multiple aspects that would otherwise be overlooked. Secondly, we have an excellent perception of what will not work. Indeed, we often start from what will not work. No one will tell you free what will not work, except perhaps when it safely no longer matters. For that you must find your way to buying consultancy time. Needless to say we also offer you the solutions if something is identified as unlikely to work. 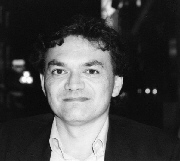 The Cambridge Autonomous Mobility consultancy provides one of Europe's most influential commentaries on driverless cars, world-leading conceptualisation of the integration of autonomous vehicles into the built environment and with the internet of things and a leading node of knowledge within the UK on driverless cars. * The vehicles themselves and bringing them to the world's roads as a practical reality as soon as possible. * How the built environment - the roads, streetscapes, street furniture, buildings and urban environment - will have to be modified to accommodate the new technologies of driverless cars. We provide conceptualisation, negotiation and strategic programme management for all autonomous vehicle projects, commercial or sponsored by government. To win the race to launch a market competitive driverless car it will not be enough to be able to write countless algorithms. You must also have access to high grade maps. The HERE map shown above is accurate to about 20cms - better than GPS and much better than a map that will show on a satnav or viewable on Google maps. The first driverless car fleets will be urban and the routes they use will be urban and will have to be mapped before in great detail. Most urban environments, though, do not have the luxury of the wide open spaces and safe runoff areas shown in this map. They will be hemmed in by buildings and many of the distances measured by onboard sensors will be to buildings. Breaks in GPS coverage will occur in urban canyons caused by tall buildings. A low latency radio communication system will be necessary to help autonomous and connected vehicles 'see round corners'. Vehicles will also have to talk to buildings. So this consultancy will increasingly now work on the interface between buildings and autonomous vehicles where our knowledge base is strongest. 70% of the U.K. has been mapped by aerial Lidar to a resolution of 1m x 1m but that would not be good enough for a fully autonomous vehicle. It would need to know to within 1cm where the raised curb of a pavement is in an urban environment as it is likely to curve. So the resolution of mapping may need to be varied depending on location and this obligatorily requires the use of vehicle-borne Lidar (or radar) and other sensors. The periodicity of the scans will also have to be different - not every two years as might be the case aerially but in real time, for instance to accommodate new enclosures around building sites, in which we have a particular interest. 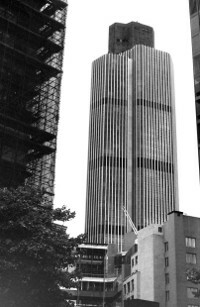 1987 near the Lloyds' Building. One of our aims is to maintain an overview knowledge base at least as good as anyone else in Britain can compactly hold in relation to autonomous vehicles - i.e. not spread over a diverse organisation. As we enter 2017 this NVIDIA car is the state of the art for a purely experimental driverless car because of its use of advanced mapping, deep learning, sophisticated object recognition and the cloud. (It is a bit behind the leading edge in a few other areas). Limited hype, considerable technical achievement. Architects whose long professional training makes them respond if it is technically possible to design this I will never accept that this project, however difficult, cannot be designed - but they always have a contractor to execute. In some very attenuated fashion, and out of the limelight, I have probably been all three and so am perhaps a little biased. Also, clearly not all entrepreneurs, politicians and architects have the personality makeup to deliver. With the driverless car industry, if one properly exists, the initial driving force in America has been Silicon Valley entrepreneurs, who do see a full picture but have employed engineers, software specialists and others to run the projects who do not quite. They are, certainly, chalk and cheese to the automotive engineers. It might have been better if they had appointed other entrepreneurs to run the projects. In the U.K. I tend to take the position of the architect. If there is something I can do better than any other participant on the U.K. autonomous vehicle scene it is to have a truly full overview of what should be done. If someone has a project, in other words a contractor in my parlance who can execute, then I can help with designing the project, for a fee. What I will not do is raise the resources like an entrepreneur or even tender. If one says it is the commercial reality in the U.K. that you have to tender for government funds to get an autonomous vehicle project going, that may have been true but unlike many I may just have an alternative. Given time, maybe I will make it happen. Politics is less hard work. Certainly I should like to see a successful autonomous vehicle project in the U.K.
By mid-2015 it was clear to me that using newly emergent deep learning artificial intelligence in the mix of technologies was the only way fully autonomous navigation had a hope of becoming a reality. [A view I had first formulated in October 2104]. The U.K. pursued projects, one vehicle oriented, one robotics and elementary mapping oriented and another possibly people oriented but none came close to having a viable mix of technologies. A corrective overview could have been provide by this consultancy but in the U.K. there is a tendency for people to stand on their prerogatives, assume no one could know more than their own organisation because it is the selected one, and not go to the right people and it is a growing reason why less is being achieved. So two and a half years of development time were squandered. It has not been disastrous as other autonomous vehicle projects elsewhere have faced difficulties but it could have been. Now there is an entrepreneur-led project within 200 yards of this consultancy and it is very strongly artificial intelligence focussed, almost exclusively so, and privately funded. We are returning to interesting times in the autonomous vehicle space in the U.K.
Let us be in no doubt. Driver assist technologies like brake assist and lane keeping technology, commonly available from parts suppliers, greatly add to vehicle safety and are on their way to saving millions of lives. Other autonomous technologies, grouped together, in their current state of development, probably produce less safe results than proficient drivers. Machine vision system reliability can be degraded by wet road markings. Road sign recognition technology can be fooled by stickers placed on road signs. A child can recognize a kangaroo crossing the road but an optical, camera-based object recognition system cannot because algorithms alone are not up to the analytical task. 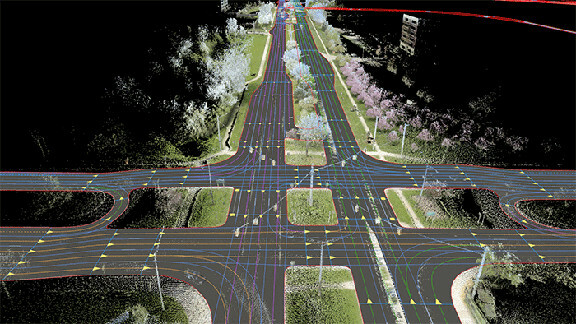 A self-driving car can be programmed to go round a pre-mapped racetrack at high speed fairly safely but not round a busy roundabout without a prior map and advanced lidar. A self-driving haul truck can negotiate closed mining company roads but a self-driving truck cannot negotiate a roundabout once it leaves the autobahn so a truck driver needs to be ready to take over. And so it goes on. So for a claim that any type of autonomous vehicle is safer than a human driving to be true the vehicle must combine both driver assist technologies and autonomous technologies ... and then it will be only marginally so at present and in particular localities .... and when the comparison is not with a conventional high end car with all the driver assist technologies onboard which will still be safer. For now, all the financial industry assertions that autonomous vehicles will be orders of magnitudes safer than human-piloted vehicles are not realistic. We will be lucky if we get to twice as safe in 20 years. The recent discovery that all wifi routers have had simple security flaws for 13 years reinforces the point that we have gently made on this site that navigation critical data to and from autonomous vehicles to the outside world should be carried on dedicated frequencies and should always be encrypted. This does not, in practice, prevent security authorities identifying vehicles in case of need. Wifi router networks should never be used to carry this data. A tablet typically takes seconds to do a handshake with a wifi router. A fast travelling autonomous car needs to do the handshake in milliseconds and be transferred from one beacon to another with minimal latency if it is to be warned of emerging hazards ahead in real time and contribute its data to a dynamic scenario. EU Directives classify autonomous vehicles as internet of things objects. From a legal viewpoint this may be tidy. From a practical viewpoint there are many potential complications. The internet of things has been a dash to market leaving many devices with unresolvable security flaws and with corporations vying to create walled gardens. The autonomous vehicle industry, when it emerges, still has time to step outside this muddle from the beginning by using dedicated frequencies for navigation data and 100% encryption. The existing cellular networks have too much latency, restricted bandwidth and carry too much malware in the mix of packets to be a safe place for navigation data. Beacons in traffic lights and road signs might be an alternative. Cellular 5G and beyond could carry the traffic if protocols rigorously separated it from all other data packets. The normal commercial data traffic between cars and the world - voice, messaging, email, infotainment and the data produced by people working in their vehicles - can continue to use the existing systems but there should be no link between the vehicles' navigation microprocessors and the microprocessors handling this traffic. This would mean you could not hack the navigation by hacking the email, for instance. This normal traffic is, of course, the greater risk to privacy of the two, being full of cookies and locational data sent by apps. Will the U.K. government funded autonomous vehicle projects be able to make up the lost development time? Regrettably not. In tech you can rarely do that. Most of the AI specialists in Britain have already been snapped up by the subsidiaries of Silicon Valley firms and those who are left will not be working for low-paying projects. That, of course, is the reality of the marketplace; not everything can succeed. The upside is that globally, and so by implication in Britain, once realism takes over the chances of steady progress will be enhanced. So expect some prospect of major advances in 2018. For driverless cars to become a reality we will have to change the physical, political and technical landscape. How many of us can do that? .... but it is worth a try. Progress with autonomous vehicle technologies is dependent on developments in artificial intelligence. The scenarios in Britain have now been revamped. The government's industrial strategy now includes a £1 billion AI sector deal. "The U.K has unmatched heritage in AI and its application in emerging sectors and technologies." The government is supportive of medium term infrastructure development to connect new villages around Cambridge to the city, villages which will partly finance the infrastructure through mayorial development corporations to be set up by the Mayor of Cambridgeshire and Peterborough which will retain some of the land value appreciation. Existing green belt separations will be maintained. A new district of Cambridge is already being developed under the auspices of the University of Cambridge where half the properties will be available for rental to those working in the university and half for sale. Numerous communal facilities will be provided. Cambridge is one of the leading centres for AI in Britain.